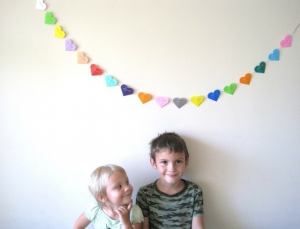 Not wanting to use the traditional reds and pinks for Valentine’s decorations, I found this super cute origami heart garland on etsy from Jikits and ordered immediately for the shop windows (adorable kids not included). 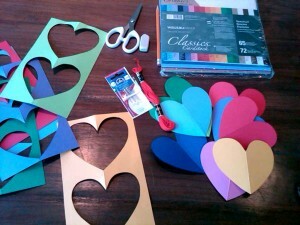 The hearts and colors served as the inspiration for the rest of the decorations for the shop. 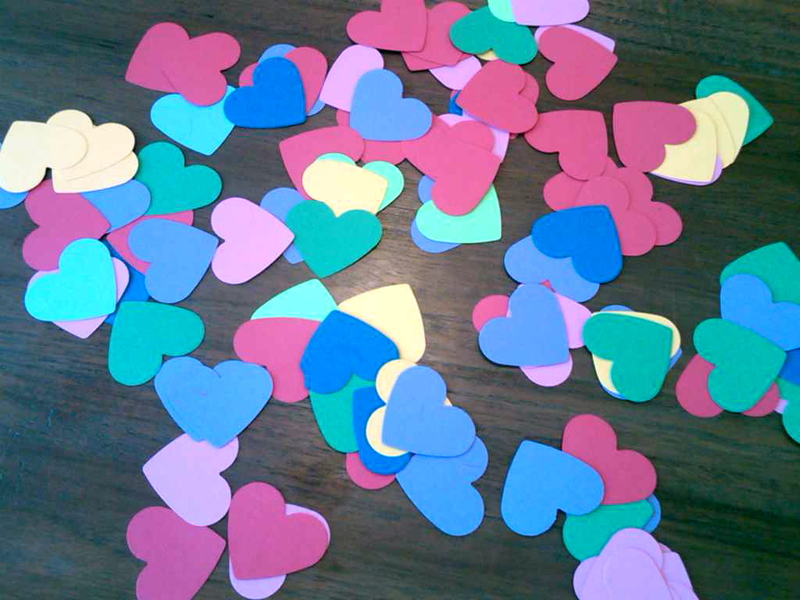 We won’t be officially switching over to our Valentine’s decor until later this week, but here is a sneak peak at what we’ve been working on.